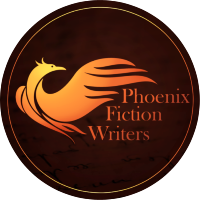 We just observed Christmas, but we in The Phoenix Fiction Writers have a lot more reason to celebrate. Recently we marked our first year anniversary and we wanted to bring you into the celebration. All of us authors have banded together to put on a massive sale. There are multiple books on sale, eBooks, bundles, paperbacks, and even a few books free to download. You will not want to miss out on this. I highly encourage you to browse for a while and see what amazing stories are available. I would recommend every one of these amazing authors. I also have a couple books for sale, so if you’ve been wanting to check something out, now is the time to look. Head over to the website to find our full list of books on sale.